Now all the rigging work is done. What is left is to recover data, service the instruments and then start packing. The new postition of our final deployed rig ended up to be 73°9.34 S, 118°8.20. It will hopefully have a safe home in a small depression at 480 m depth on a passage between the Getz and Dotson areas. 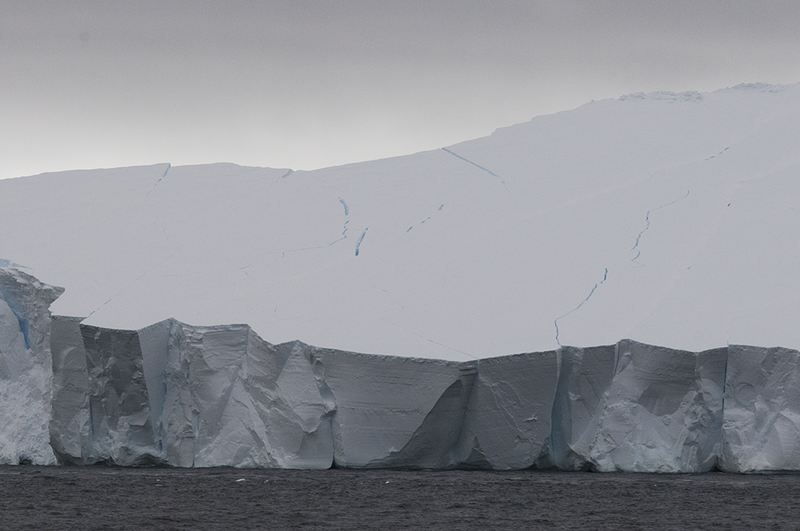 The final position was decided with help from the Araon´s hull mounted multibeam, which maps the seafloor topography. 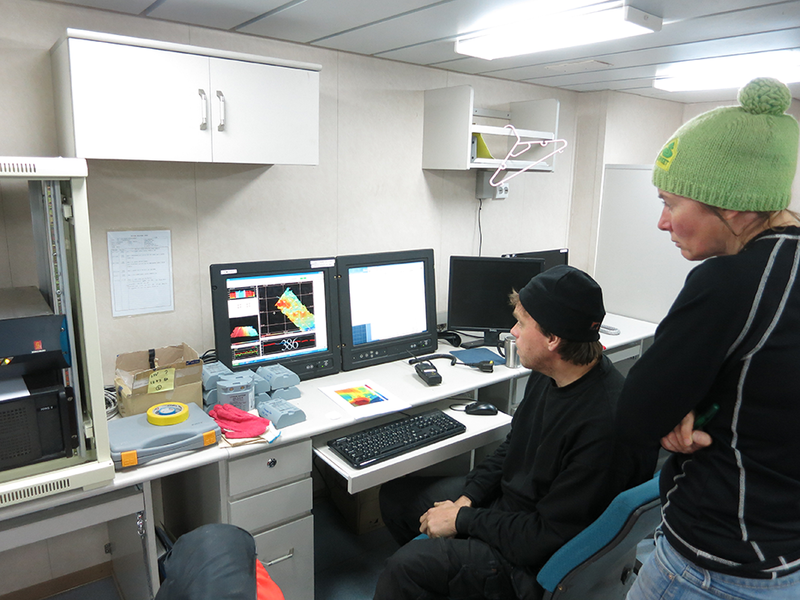 We also had the opportunity to run the multibeam in some unchartered areas, which will be really useful information. The data from the new rig will help to detect any connections between the waters further west and our other moorings. The revisit to the mooring we left without recovering earlier turned out to be successful. This time contact was established with both releasers, and this time both of them released. But in spite of this, no bouy did appear on the surface, so preparations were made to start dragging with an anchor to catch it. But after the Araon had steamed around the rig in circle, the bouy popped up. So to sum up, I think we can satisfied with all the moorings recovered and two out of three redeployed. Today we are having another rare day with almost no wind which is a pleasure. I am still on the lookout for Humpback and Killer whales, but they are nowhere to be seen so far. The only bird lately has been a brown/grey petrel, which I think is Great Winged or Grey Faced petrel. 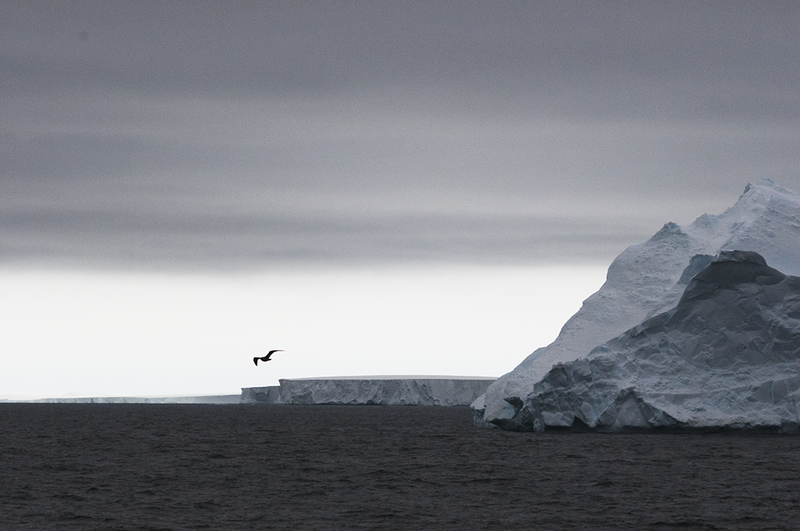 Spotting the right petrel is not as hard as albatross, but not far from it.